Social media is a great marketing tool that can help build the word of mouth about an experience or topic you want to promote to others. If you want to learn how to squeeze the most value from your marketing efforts and looking to get engagement with your social media content, then keep reading. You want to get people excited about the event and reach out to as many people as possible. To do this you want to create a content plan to make sure that the information you are posting educates your followers about the different event topics and also drives traffic to the event’s main website. You can get sponsors and other influencers involved to help push your content on social media. You want to make sure that people can share information easily and since your sponsors are giving you money, they will more likely share it on their social media accounts as well. Click Here for tips on how to get people to share your content. Once event day is here you want to make sure to stay active on social media with live updates on your networks to interact with attendees who are sharing content of the event with different hashtags. Click Here to find out what makes a good hashtag. You can also tweet quotes from the speakers, create polls and different questions that people can respond to. At your event, you could have the posts that the attendees are making on screens. Just because the event is over doesn’t mean your work is over! You want to make sure you thank the speakers and attendees via social media so they know you appreciate them and this can also help create stronger community bonds. You also can create a recap of the highlights of the events by putting them into a loop and making a video of the event and sharing with sponsors. 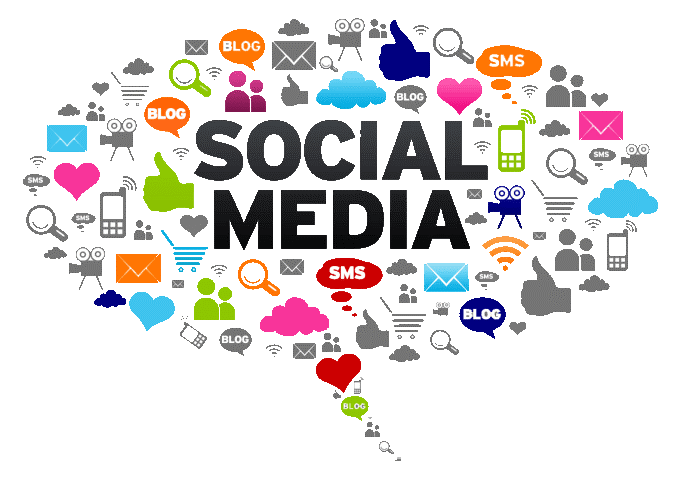 It will depend on your target audience for which social media platform will be most effective. Take this quiz to find out “What’s the best social network for your event?”. This will help you choose which social platforms you should use for event promotion. Making sure that all that your social media profiles are up-to-date and that your headers are all consistently for easy access to all social media pages. You also want to make sure all your links are connected to your social media so everyone can find your pages easier. You can run a social media contest to expand your social media presence for your event. Contests are the perfect way to motivate word-of-mouth promotion without a huge investment. Also launching paid social media ads to engage your audience by having an eye-catching video and having a direct call to action. Using live videos to promote the event with updates to keep people informed of any changes or new updates you may have. 1. More people trust word-of-mouth recommendations over targeted advertising, so if you can get a major ‘social influencer’ that is in your industry to begin recommending your event to their networks it could drive attendance to your event. 2. Social Media posts should jump out at individuals with clear, relevant, and high-quality images. Images can process images many times faster than text and visual imagery is more easily stored in long term memory. You can use tools such as Canva that lets you use predefined image templates to do this. 3. Social registrations can speed up the registration process by auto-filling known information while providing a method that individuals recognize and trust. People like their time and quick registration can increase the likelihood of registrations. What do you think you could do that would get people to be more involved to interact with you on social media before and after an event? What would you like to see at an event that would make you engage with the company in a positive manner? According to Brand Campaign, “For brand owners, experiential marketing creates brand advocacy. It drives word-of-mouth through personal recommendations that are the result of consumers feeling that the brand experience added value and connected with them through relevant interactions.” If you could personify your brand, who would it be? The American Marketing Association defines brand as a “name, term, sign, symbol or design” or a combination of them intended to identify the goods and services of one seller or group of sellers and to differentiate them from those other sellers. It dictates how people feel about your brand and how they may interact with you and how they perceive your products. Personality is a key element when you shape your brand or when you start developing your own brand strategy. 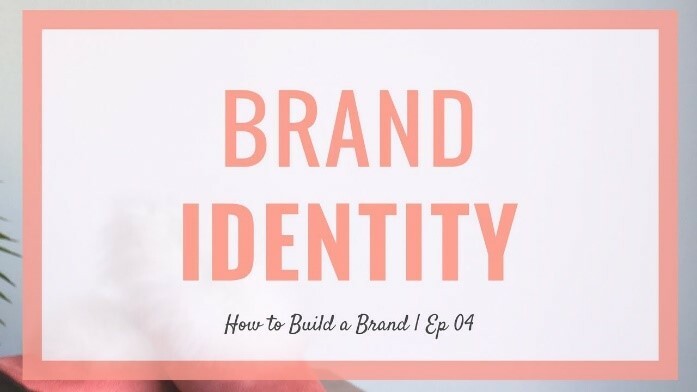 If you brand is well-developed with connections and personality, then your brand will be easier to identify and remember compared to others who fail in this area. If you are looking to understand your own personal brand, then here is a quiz that will allow you to better understand your personality. CLICK HERE to go to the quiz. After this quiz you will be able to look at different ways to improve your over marketing materials. Again, you want to make sure you ask yourself what direction you are heading, and what values will you uphold to get there. These questions will help define who you are as a brand. Your brand must be consistent with everything it does with its voice, events, sponsorships, social media and more. How does brand personality affect brand experiences? Experimental Marketing can bring your brand personality to life. Genuineness stretches beyond your own brand personality. Consider how you’ll position your customer as the center of the experience and the value they’ll receive from interacting with your product. The gains must be pure and have meaningful engagement to keep the consumer feeling wanted. In this example by Converse you see the experiential marketing campaign of people’s responses of converse putting customized decorated graffiti around certain neighborhoods. CLICK HERE to view the video! These marketing concepts deliver overall emotional understanding to the different types of brand personalities in the world. Connecting with a brand’s values and their messages are important because someone could possibly walk away with a meaningful appreciation for your brand. With this idea in mind it forms a deeper relationship then one would achieve through a printed ad that isn’t interactive. Interactive brand experiences involve multiple senses of an individual. The information that is gathered becomes more meaningful, which in turn makes your marketing dollars more effective. If you want to read more about the Benefits of Experiential Marketing then click the link and you can expand your knowledge even further! What would you do with your brand to make it stand out compared to others? How would you present an idea to a superior if they don’t want to spend more money on something they might have already said no to? How far would you go and where do you draw the line to promote your product. Would you break your own ethics to make money or would you be strong to what you believe and not make money? Do you ever realize why you reach for one brand of toothpaste over the other? Odds are part of the reason that you buy the brand of toothpaste that you do is because you trust the brand and you recognize them. Customers who stay with your business for years expect that your brand may change over time, but they also still expect the basic look and feel of your brand to remain consistent. Your businesses brand includes more than just a logo. A brand is everything that your company represents, from your company’s mission statement to the product and services you produce, to the employees you hire, and everything in between. Maintaining a consistent brand for your company can be a challenging, but with these three tips your businesses brand can become more consistent and influential on your customers. 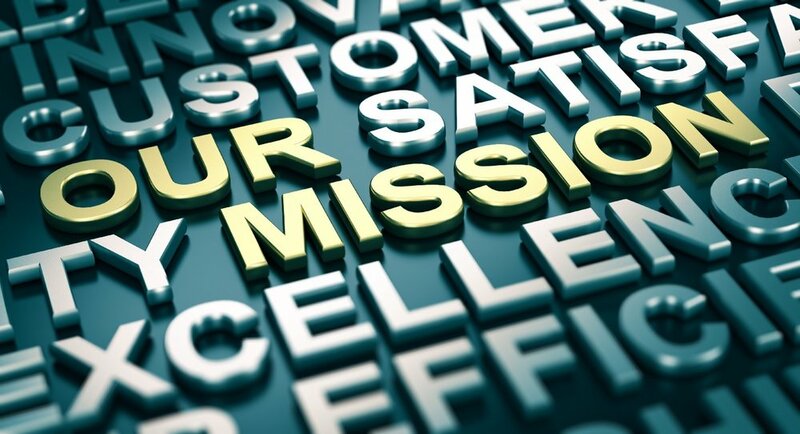 A good mission statement defines what kind of organization the business is and why it exists. It explains its goals and philosophies and it allows defines what the company does for its customers and employees. The brand of a company should reflect the core values of that company at all times. The brand you display to the customers should send a message about what you can do for them now and later. By understanding your company’s mission statement, you can create your logos and brand promotions, positioning, and messaging to be centered around the core values of your company, making sure your brand stays consistent with those values. In order to keep a consistent brand, everyone in the company must understand what your company stands for first. Staying organized is another way for your company to keep its brand consistent. A portfolio of personalized templates and guidelines will allow your company to create a one stop shop for your employees to use when they are creating content for your brand. By personalizing simple templates for everything from company emails, business cards, social media posts, and newsletters, a portfolio will create a consistent starting point for your company and your employees when then start to create branding content. A portfolio also helps when new employees join your team and ensures that content remains consistent both over print and electronic sources. One of the most important parts of keeping a consistent brand is to have an approval process. An approval process shouldn’t be too easy or too difficult. This means that you shouldn’t sign off on everything, but you need to make sure that your image is being protected. In order to successfully implement an approval process into your company, a small committee should be created. This allows you to get the job done without creating a ton of additional work. They should use collaboration tools, such as Slack, Asana, or Google Docs in order to work together to get things done efficiently. The committee can be overseen by the marketing director because they are great resource when it comes to how customers see and react to the brand of the company. If you would like to read more about brand consistency, check out this article that dives into five steps to maintaining brand consistency. The holiday seasons is a time of year where businesses put a lot of money into marketing their products and businesses to their consumers. These marketing tactics are crucial to creating a long-lasting relationship with consumers. Businesses have begun to utilize experiential marketing tactics to accomplish these goals throughout the holidays. The main goal of experiential marketing is to create a long-lasting relationship through fun, interactive activities. Many industries have taken advantage of these opportunities creating positive buzz about many businesses. It has been shown through statistics that the majority of holiday shoppers tend to go to brick-and-mortar stores rather than participate in online shopping as mentioned in How to target millennial holiday shoppers. Many successful experiential marketing campaigns involved shock or awe as a part of their activity to creating a positive memory with their consumers. One company that created a successful experiential marketing campaign during the holidays was Lancôme. During the 2017 holidays, Lancôme created a pop-up attraction in the Hong Kong airport while utilizing an interactive game. Lancôme created an interactive game called ‘Journey of Holiday Wonder’ with an opportunity for a free sample of Lancôme’s Miracle Secret fragrance. Throughout Lancôme’s entire campaign they declared to bring happiness and that they did. They saw a large amount of success through this campaign and enjoyed sharing these light-hearted moments with their consumers. This allowed Lancôme to be viewed as a business that values their consumers and puts their consumers first. Allowing consumers to value and trust Lancôme for many years to come. A key factor when designing an experiential marketing campaign is social media. Every successful campaign is created to provide opportunities for consumers to share it on social media. Macy’s recognized this aspect of experiential marketing and created personalized Instagram gift guides for holiday shoppers. This campaign has allowed Macy’s to begin to reach the younger generations easier as well as combine online and in-store shopping. Macy’s has also utilized Pinterest to provide an interactive activity for consumers to find inspiration and hidden gifts that can be found at Macy’s. These campaigns have allowed Macy’s to touch the hearts of many new consumers while creating memorable experiences that will last them a lifetime. One of Macy’s holiday campaigns “Space Station” is a replication of their Pinterest campaign. What is your favorite experiential marketing campaign during the holidays? What holiday experiential marketing campaign would draw you into their storefronts? Experiential marketing is a marketing strategy that invites the audience to interact with the business in a real-world situation. It is a way of showing what the company offers and also what they stand for in a fun and hopefully also a memorable way. The dynamic puts the audience front and center and lets them really experience the brand on a personal level. Experiential marketing focuses on the interactions between the brand and the customer and building that relationship and affinity. There are a few things to keep in mind when trying to execute an amazing event and experience for your customers. One big one being taking advantage of research technology. There are so many different programs and technology based tools to help measure consumer responses to experiences in todays world. This way, you can gain intel without interrupting the experience of the audience. Once the event is over, there will be the chance to understand if the experiential campaign was a success or not. Another thing to keep in mind is to ask the right questions before the event. Know your audience better than they know themselves. Know who they are, what they want, what they need, what matters to them, and what problem this brand can solve for them. By better understanding the customers needs, the event can be tailored to their liking. Aside from research technology, light-footed research is also extremely important. Get to know the customer through focus groups, interviews, or surveys. With the use of research, it can be a great indicator of the success or potential success of an experiential campaign. After getting to know the customer, look at all the data. Data can help with recommendation to make sure your event will blow their socks off. It will help to make sure you are in the most efficient, quality driven, yet distinctive spot for your big day. The experience should be unique, but on brand and also relevant to those who are attending. Try getting the audience involved in such activities that will draw them into the brand and give them and experience they will never forget. Some good examples of this are the use of hashtags, contests, etc. Try taking the event to the next level by really captivating your audience’s attention or expanding your consumer outreach. Do not let the event be overwhelming but set your brand apart from competitors with videos, AR/VR, or other such new and upcoming ideas to stand out. Expand your outreach so customers can be constantly connected and engaged even after the event has happened. With this, customers are more likely to keep coming back to your brand. Feel free to also communicate before and during the event as well. Most times social media is the easiest way to be quickly connected and it is also a great way to promote the event itself or upcoming events. Customers can also share photos, make posts, or respond to others about your event through the different social media platforms. 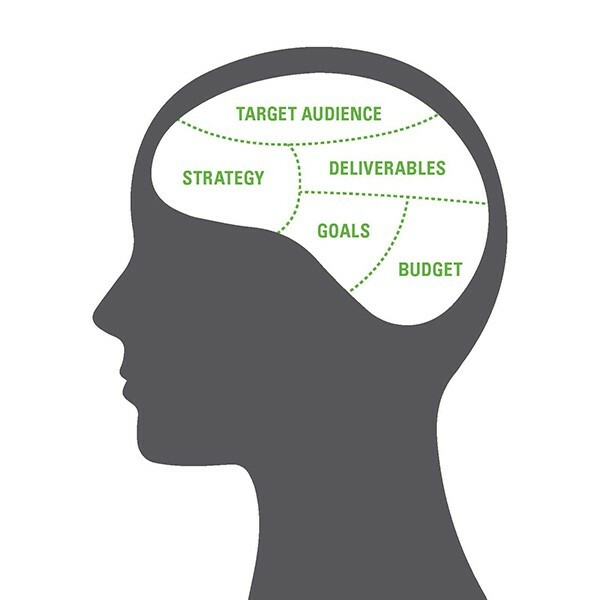 With those things in mind, it will help to plan the most impactful and meaningful experiential campaign. What are some of the most impactful ways to prep for an upcoming experiential campaign?